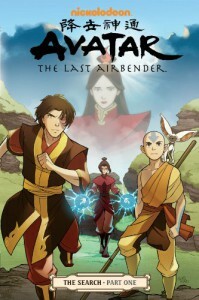 I was looking forward to this arc of the Avatar story since they first announced it, and it doesn't disappoint. I love that we are getting the back story on Zuko's mother and I expect some serious character development for both Zuko and Azula based on their findings in this search. I definitely wasn't expecting the cliffhanger at the end of this volume, although it didn't surprise me over much and it explained quite a bit.